John was a 1934 graduate of Alliance High School. In 1949, he co-founded East Ohio Machinery Co. and served as its president from 1962 until his retirement. In 1996, John was named an Alliance High Distinguished Alumnus and in 1999 he was elected to the AHS Athletic Hall of Fame. 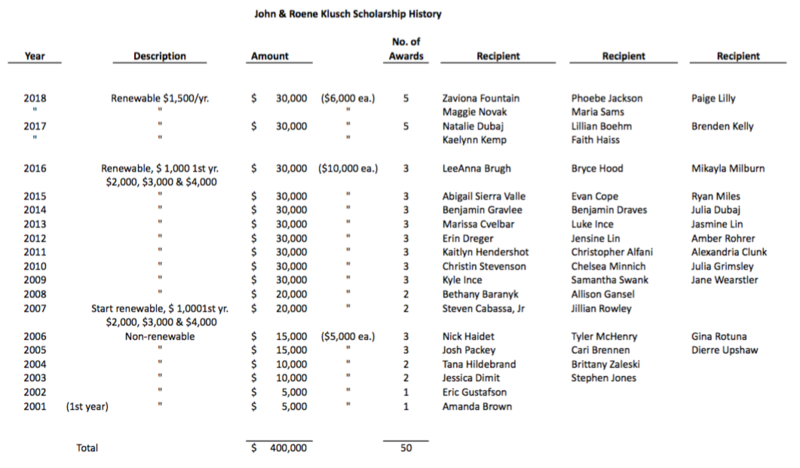 Since 2001, the AHS Foundation Scholarship committee has selected Klusch Scholarship recipients. Beginning in 2009, three $10,000.00 awards have been presented each year.